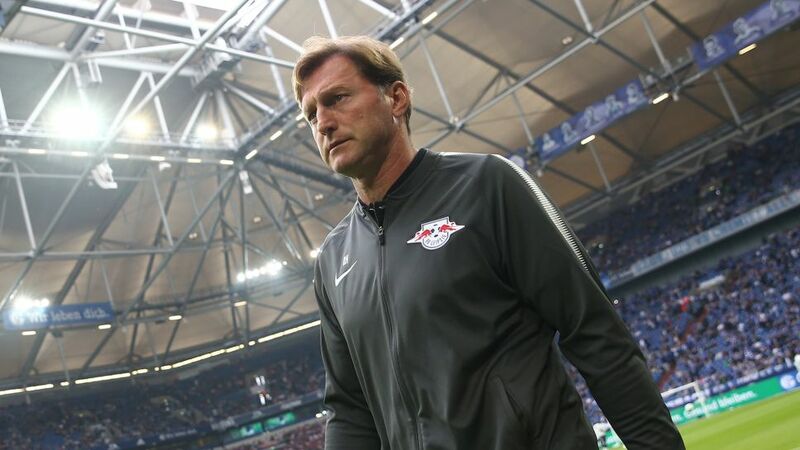 Ralph Hasenhüttl has left his position as head coach of RB Leipzig after failing to secure a new long-term contract, the club have announced. The 50-year-old Austrian, who led Leipzig into the Champions League for the first time, moves on after two seasons in charge. Leipzig said in a statement that the decision was made at a meeting on Tuesday between Hasenhüttl, sporting director Ralf Rangnick and CEO Oliver Mintzlaff. "The club are well within their rights not to offer me an extension, but we also stressed that going into the final year of a contract without a clear long-term future plan wasn't ideal" said Hasenhüttl, who had hoped to stay beyond the terms of his existing deal, which had been due to expire in summer 2019. "I thought it was important for the future of the club, and I would have liked to have been given a reassuring 'yes' rather than a clear 'no'. That's why I asked for my contract to be terminated early. I'd like to thank everyone at the club for an unforgettable time." Hasenhüttl joined Leipzig from Ingolstadt in summer 2016. He masterminded their seamless transition into the Bundesliga, steering the ambitious top-flight newcomers to a surprise second-placed finish and into the Champions League. Leipzig exited the competition at the group stage, but went on to reach the UEFA Europa League quarter-finals, where they were beaten 5-3 on aggregate by finalists Marseille. The Lower Saxony outfit finished the 2017/18 Bundesliga campaign two points adrift of the top four in sixth, however, meaning either direct entry into the Europa League group stage or the second qualifying round, depending on the outcome of the DFB Cup final between champions Bayern Munich and Eintracht Frankfurt. "I would have really liked to continue into the next season with Ralph Hasenhüttl as head coach," said Rangnick. "From the bottom of my heart, I wish him all the best for the future, both professionally and privately." The 2018/19 season will be Leipzig's third in the Bundesliga.